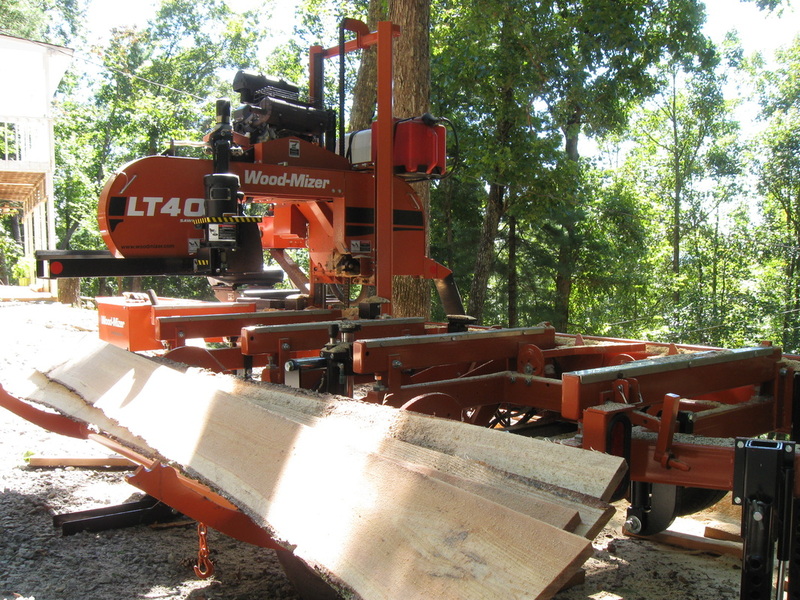 Mobile on-site sawmilling is what LumberRite is all about. We bring our Wood-Mizer portable sawmill to your site and set it up next to your logs. Your logs are then loaded onto the mill and positioned for sawing using the mill's on-board hydraulics. Each log is then sawed into accurate, high-quality lumber according to your specifications. When the job is done you will have a stack of lumber cut to meet your requirements. You will also have a pile of waste (slabs and bark) and some sawdust. All sawmills produce rough sawn lumber leaving a distinctive pattern of marks on the lumber. For fence boards and barn siding, this may be just what you're looking for. For applications such as furniture or flooring, the lumber is typically planed smooth before being used. Quarter Sawing: intended to maximize the amount of lumber produced with a vertical grain. It is generally not recommended for logs under 22 inches in diameter because it produces narrower boards than other techniques. 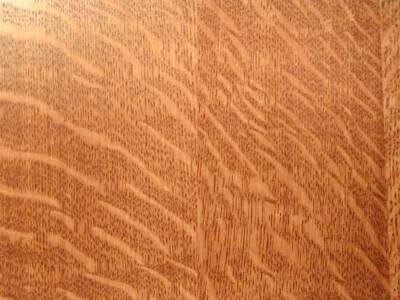 The appearance of quarter sawn lumber is considered very desirable by most woodworkers. Grade Sawing: used to maximize the amount of lumber produced without knots or other defects. After a rectangular cant is created, it is turned as needed so that boards are always taken from the face that will produce the highest grade lumber. Lumber produced is random width. Dimensional Sawing: produces lumber of a specific dimension such as 2x4, 2x6, 4x4 etc. Dimensional lumber is typically used in construction rather than furniture. Dimensions can be the true nominal size or can be sized to match "dressed lumber" dimensions to better match material purchased at a lumber yard or home center.